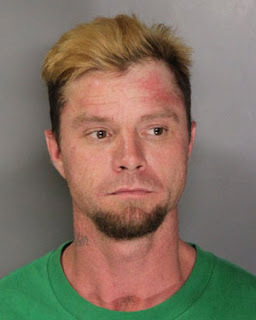 Yesterday morning, Sacramento Sheriff’s Homicide detectives arrested a suspect in connection with the shooting death of a man in Elverta last month. Andrew Jeffries, 33, was taken into custody at 7:30 this morning after being located at a residence in Sacramento. Jeffries was booked into the Sacramento County Main Jail on charges of homicide and unlawful possession of a firearm by an ex-felon. He is currently being held without bail. On March 28, shortly after 2:00 a.m., Sheriff deputies responded to the 1700 block of Kasser Road in Elverta regarding a man found lying on the roadway. The victim, who was later identified as 33 year-old Anthony Ortega, had sustained several gunshot wounds to his upper body and was pronounced dead at the scene. Investigation into this incident led to the identification of Jeffries as the person responsible for this crime. Homicide detectives are conducting further investigation, and the case remains open. Anyone with additional information regarding this case is asked to call the Sheriff’s Homicide Bureau at (916) 874-5115. No Comment to " Sacramento Sheriff's Arrest Murder Suspect Andrew Jeffries "